Wow, I can't believe that Knifty Knitter is being discontinued. I'm glad there are some other options, but that sure does mess with gauge for people, doesn't it? I don't quite understand why the pegs aren't already fitted to the frame in some instances. Would that allow for a different kind of project? I wonder whether provocraft will re-introduce the knifty knitter sets in a year's time too? QVC carry a set of four round looms exactly the same as the knifty knitter set but in pastel colours, not sure of the branding on that but its very good and half the price of the KK looms too. I'm quite sad about this. 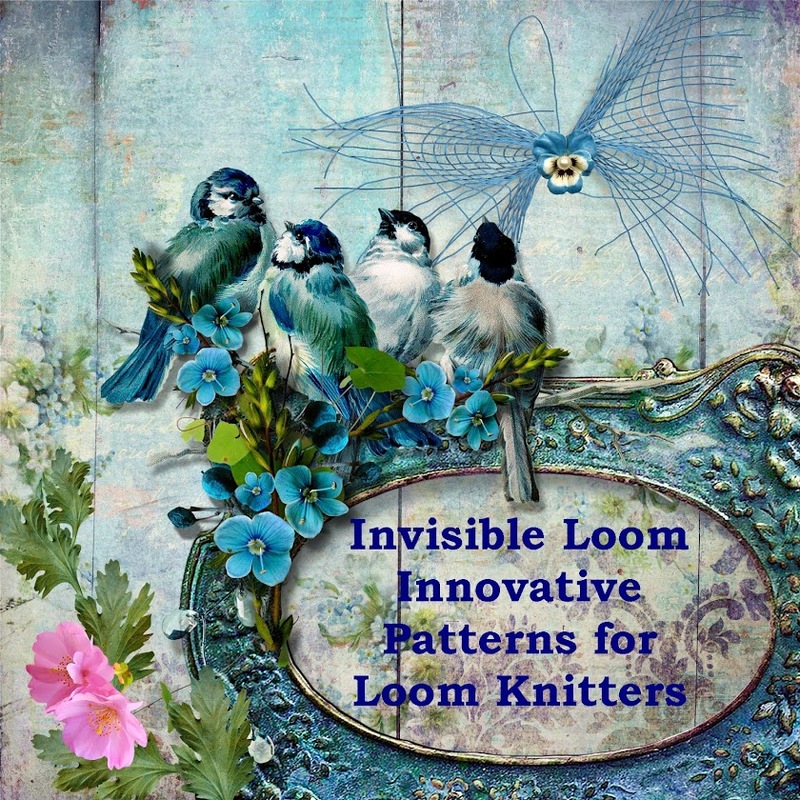 Most loom knitters enter the looming world because of these easy to find and easy to use looms. They have a place and a presence in the looming world that I will miss. I was looking at my KK round looms recently. My blue loom's pegs are white from repeated scrapings of the pick as my favorite beginner project was scarves in Lion Brand Homespun. I have just bought the new Boye Long Loom Set. I am excited to try them as a single rake. The knobs on pegs are smaller and plasic is smooth. I will be using them this weekend. I will let you know how it goes. Both of these stores had the items a week ago (@ Aug. 15) and they have other stores in the area that they can check for you if they are sold out at their particular location :) Hope this helps everyone! The Boye looms are horrid. The peg tops are like crochet needles so unless you are using very bulky yarn you are constantly fighting to get the yarn out of the notch. I don't mind the pegs being loose... a little piece of yarn or paper and they are fine. It's that stupid notch that's the problem. I totally agree. I own many KK looms and love them, but while on vacation, I purchased a Boye loom. It is infuriating to work with, the crochet top to the loom snags the yarn and it is a definite fight to get the yarn out of the notch. The ease and speed of knitting on the KK's cannot be replicated on these poorly designed looms. The one thing I hate is I have looms I had to take pegs out of to fill holes. I think they need to sell the pegs in a bag so we can buy replacement pegs to fit the different sizes of looms. Get yarn out of notches takes the joy out of looming. the notch needs to go. the knifty knitter was so much better. bring it back! I was lucky to get 2 sets of the round looms and the long looms in Knifty Knitter brand. the Boyce looms and the ones at Michaels aren't exactly the same spacing. I am sad to see the hat loom not being replaced. I was lucky to find 2 of them on Amazon.com this past Christmas. Just today I purchased another long loom set on Amazon for a fairly reasonable price of $25. It is my second long set. In addition to these, I have 2 round sets, 3 additional 22" long looms, and 2 rectangles. I now have to stock up on the replacement pegs before they disappear, too! If all these good reviews are coming in about the purple loom, you would think the company would be over whelmed! I to am sad that you cannot find the loom anywhere. We need to e mail and call the company!!!!!! !PLEASE CALL AND E MAIL TO GET THE PURPLE LOOM BACK, I LOVE IT!!!!!!!!!!!! i have just recently found and purchaced a set of round and long knifty knitter looms for my daughter to replace some of hers where the pegs broke. found them at stuff4crafts.com. not sure how long they will be available for but the prices were good and made up for shipping when I bought both sets at same time the shipping was the same price. hope this helps anyone. Thanks for this posting! I got the KK looms for my daughter and me and we love it. These looms are the best. I have all of the Knifty Knitter looms and still use them. They are great. If I were making the Poodle Caniche cowl pictured on the skein wrapper, which KK size would I use? I have never knitted on a loom before and would like to try to make that cowl. Thanks for any help given. I'm afraid I don't know the skein you are talking about, but most likely this is a needle knit pattern, not a loom knit pattern. I recommend you use patterns written for the loom. If you search on Ravelry.com, there are many lovely cowl patterns for your loom. Oh, so that's why I haven't been able to get a 48 peg loom. OK so what do we now use for a pattern that requires a 48 peg loom? I have quite a few of them. I am in the UK and knitting looms are not easy to get over here. Since this post was written, CinDwood Crafts has made a 48 peg loom in the 5/8 inch gauge, which is an excellent replacement for the original purple KK loom.